Larry King on "The King of Kensington"
He may have been best known as “The King of Kensington” gracing the airwaves of the CBC Monday nights for four years, but iconic Canadian actor Al Waxman had a storied career that took him from the streets of New York to the turmoil of the Holocaust. These words opened every episode of “King of Kensington”, accompanied by a picture of Larry King, played by Al Waxman, walking down the street eating from a bag of peanuts or popcorn, wearing a burgundy hockey jacket, and smiling, waving and saying hello to people as he walked. Larry King owned a variety store that was the centre of his neighbourhood, where friends like Duke, the cab driver, and Nestor, the postman would stop in. He lived upstairs with his mother, played by Helene Winston, and his wife, played by Fiona Reid. Each week featured the every day trials and tribulations in the life of Larry King. After the third season, Reid moved on. She was written out of the show by having her and Larry get a divorce. He would also take a young teen, Guido played by David Eisner, under his wing. In one memorable episode, he coached Guido‘s hockey team against an exchange team from Quebec, with comedic results. The show was very Canadian in everything from the items sold at King’s store, to the frosty winters, and the allusions to hockey. It was a cornerstone of viewing in the three-channel rural cable network of the 1980s. What really made me sit up and take notice of Al Waxman as an actor though, was a television production I saw on a snowy Sunday afternoon. There was not a lot to watch on peasant vision on Sunday afternoons. CBC had a lot of cultural and somewhat religious stuff, nothing that really appealed to me as a boy. Then, to celebrate I think it was its 50th anniversary, the CBC created this retrospective show, hosted by Alex Barris. He would introduce some old shows, and they would air them in their entirety. This one Sunday afternoon, I was making dollhouse furniture out of old popsicle sticks, and I just left the TV on as background noise. Alex Barris described the shows that were going to be played that week, and nothing really caught my attention. One of the shows was “Sun in my Eyes”, and it starred a young Al Waxman, those were Barris’ words. It struck me, because it was the only name I recognized. It was buried in the middle of some other shows, but when it came on, I started to watch. It was about a Jewish family during the Holocaust, and one of my outstanding memories was that Waxman played a man named Moisha, kind of a joker, who actually traded identities with another man to save a boy’s life from the Nazis. It was in black and white, but that Star of David Waxman was forced to wear as a Jew, was still very colourful. It was a fantastic show that really stuck with me. 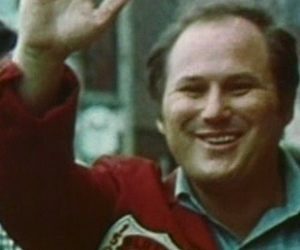 It showed what kind of an actor Al Waxman could be, and how versatile he was. It was groundbreaking for its day, and cutting edge television. "Cagney and Lacey" detailed the lives and relationship of Chris Cagney and Mary Beth Lacey, two female detectives with the New York Police Department. It began as a TV movie with Loretta Switt, on a hiatus from her role as “Hot Lips” Houlihan on "M*A*S*H", playing Cagney, and Tyne Daly playing Lacey. The show was popular enough to go to series where, as a mid-season replacement, Meg Foster played Cagney and Daly continued her role as Lacey. The show was renewed as a full-fledged part of CBS’ fall line-up, and now Sharon Gless, fresh off her stint in “House Calls” opposite Wayne Rogers, played Cagney, while Lacey was still played by Daly. CBS would try to cancel “Cagney and Lacey” several times, but fan support and stubbornly fair ratings, kept it on the air for eight seasons. Through all that time, Cagney and Lacey reported to their crusty sergeant Bert Samuels, a tough New Yorker, played by Al Waaxman. He was tough on the outside, but sensitive and caring on the inside. A whole new generation of viewers, south of the border, came to appreciate the talents of Al Waxman. Al Waxman would continue to work virtually until he died in 2001. Two memorable roles he would play in the 1990s both revolved around hockey. In 1995, he played Jack Adams, the real-life coach and general manager of the Detroit Red Wings in the 1950s, in “Net Worth”. It was an amazing movie that focused on the efforts of Red Wing Ted Lindsey to unionize the National Hockey League. Adams was deceptive in all his dealings with players, trying to prevent them from unionizing, and Waxman played the villain perfectly. Two years later, he was back behind the bench in the pilot of “Power Play”, playing Lou Gorman, coach of the fictitious Hamilton Steelheads. He was fired by brand new general manager Brett Parker in the season premiere, then brought back to finish out the season. It was a role in stark contrast to the unlikeable Jack Adams. Gorman was kind of inspiring. Waxman would also play an angel in the series “Twice in a Lifetime”, and many other roles. He passed away at the age of 65 in 2001. “The King of Kensington” is part of the tapestry of Canadian culture in the 1970s and 1980s. The mere mention of the name, or the singing of a few bars of the theme song, evokes memories for most people who grew up in that era. It was as uniquely Canadian as it gets. Interestingly, the CBC is trying to mine the same setting 40 years later with “Kim’s Convenience Store”. Al Waxman had the gift of comedic timing. He portrayed this likable community leader who seemed to keep his head when everyone around him was losing theirs. He always knew what to do. What made me realize he was much more than that, was that role in “Sun in My Eyes”. Tragic and foreboding, the story talked about a dark period in history. Waxman brought a humanity to his character that was at times jovial, at times serious, and at times dark, just like life was in that time. 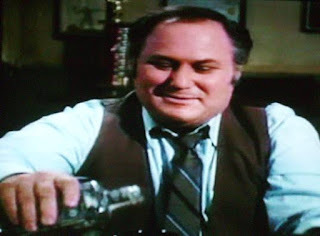 When I tuned in to my first episode of “Cagney and Lacey”, I was surprised to see Al Waxman in the opening credits, poised to play Bert Samuels. It was the same man but, instead of a kindly, 40ish storekeeper, there was a graying, gruff police sergeant. At first, I did not believe what I saw, because in my mind Canadian actors on Canadian TV never made it to U.S. network television. It was rare then, so you can add trailblazer to Waxman’s list of accomplishments too. You add all these things together, and Al Waxman leaves behind a body of work that shines a light on so many aspects of what it means to be Canadian: the legacy of the Holocaust; the convenience store as the centre of community life; and the passion for hockey. He also symbolizes another aspect of Canadian culture: the view among many that a performer has only really made it if they do well in the U.S. market. Well, any way you measure it, Al Waxman made it, and we are all the better for it.